Costco and Amazon Prime memberships appear to not overlap as much as many consumers have both. The number of people who both pay to shop at Costco and pay for free shipping from Amazon has grown rapidly in the last five years. Fifty-seven percent of Costco members also pay for Amazon Prime, up from 13 percent in 2013, according to a survey of 2,500 consumers conducted last month for boutique research firm MoffettNathanson. The membership overlap underscores the increasing competition between two of the world's largest retailers. But so far, Amazon Prime, which charges $99 a year for free two-day shipping and a suite of digital services, isn't convincing people to cancel their Costco memberships, which cost $60 a year for individuals after last June's $5 increase. 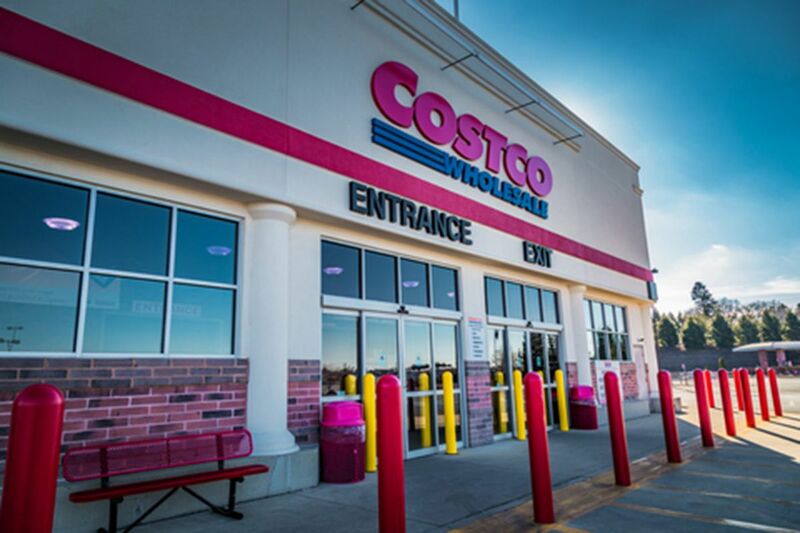 "Over those five years, as membership overlap exploded, Costco has shown steady revenue and membership growth," MoffettNathanson analysts write in a research note. They add, "Americans appear to be buying into the concept of owning two 'shopping' memberships as the value proposition is fundamentally different." Walmart, battling both companies, recently announced that its warehouse club unit, Sam's Club, will offer free shipping to its Sam's Plus members, who pay $100 a year for membership. Walmart began to offer free two-day shipping for online orders of $35 or more last year. MoffettNathanson estimates there were 80 million people in the U.S. and Canada with access to Amazon Prime in 2017, 62 million Costco cardholders, 64 million at Sam's Club, and 15 million at BJs. Oliver Wintermantel, a MoffettNathanson retail analyst, is one of the millions of Americans with a Prime subscription and a Costco membership. "These are probably the two retailers I go to most," he said. He regularly tracks his purchases on Amazon, an enlightening exercise he suggests everyone try. "People are always very surprised, how much they spent, how many products they got," he adds. Wintermantel says he likes his Costco membership for the "shocking value" he finds on products that are sold at very low or no markup — Costco makes most of its profits from membership fees, which are a fundamental part of its business model — and the serendipitous discoveries he makes shopping there. For both Costco and Amazon, renewal intention was down from 2016 to 2017 for one key age group: millennials. The declines were small, and the vast majority of people 18 to 34 still told survey takers they plan to renew. But it was enough to catch the attention of the MoffettNathanson analysts. Costco, in particular, is under pressure to show how it is attracting younger members. At the company's annual shareholder meeting last month, CEO J. Craig Jelinek said more than 40 percent of Costco's new members are millennials. The analysts offer a couple of potential explanations for the dip in millennial renewal rates: "Maybe millennials are just less loyal than their parents when it comes to retailers, or perhaps more of them joined on a limited trial basis (i.e. Living Social promotions). It's a trend that we haven't seen in our surveys before so worth watching, especially as the stickiness of membership is such a critical attribute of the model.